cooking facilities,Laundry, central heating and cooling ,off street undercover parking. All linen and towels, etc plus continental breakfast provisions are provided. 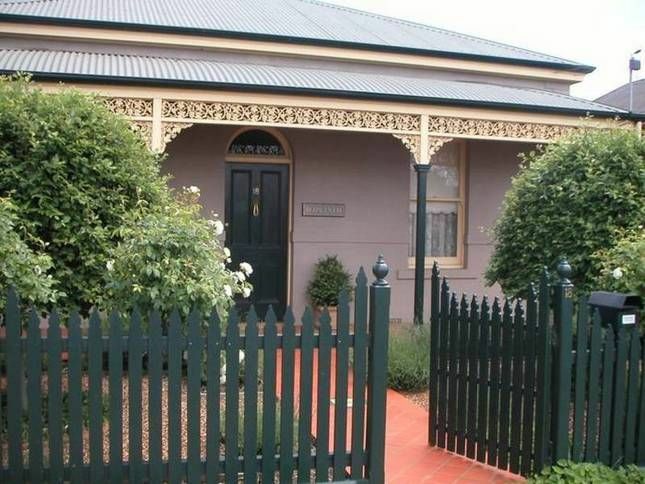 Central Bendigo, short walk to railway station and cbd. Bendigo Pottery Antiques & Collectables Centre. Central Deborah Mine & Talking Tram tours. Short drive to Historic towns of Maldon & Castlemaine. We have enjoyed our stay. The property manager Alan was terrific. As our first experience using HomeAway we have found it to be great. The accomodation was just beautiful and clean. Felt very homely for us. Hoping to come back next year. Bendigo is a very nice place, Allan and Hyacinth House were fantastic. Thanks! Keith, hope your tooth is okay and thank you for leaving the house so neat and clean. Our title says it all. Victor & Irene, thank you for your comment and also for leaving the house so clean it sure makes my life easier. Interesting mix of things in the house to notice every where you look. Wonderful home away from home. Close to restaurants and groceries, this home has everything. Lovely place and amazing attention to detail. Fresh fruit and yummy carrot cake are part of the deal. Allan our host was most informative and helpful. We will definitely return to Bendigo and wouldn’t stay anywhere else. Great place for a relaxing stay in Bendigo. Secure yard for pets. Books, cds and dvds. Eclectic interior decor. Generous provisions supplied. Amicable owner with great communication. Easy walk into Bendigo CBD or just a 2 minute drive. Easy drive from nth of Melbourne without using Calder or going through Bendigo central.